Brute running free, please call Animal Protection! Or any organization of the kind! 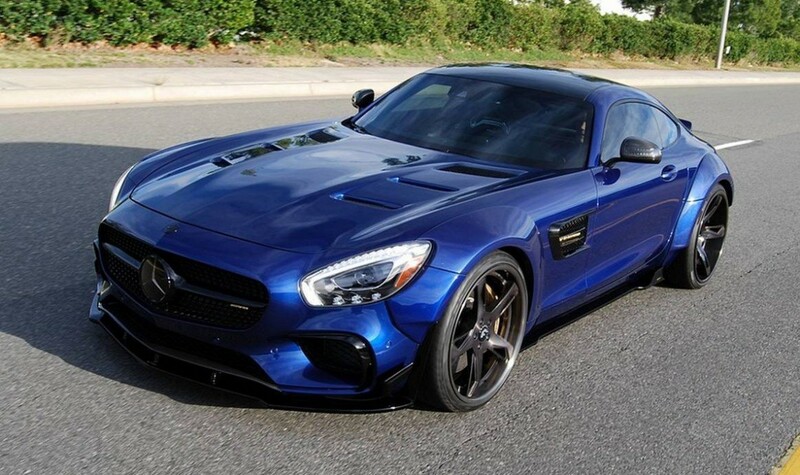 Let’s try to catch this Mercedes-AMG GT S beast, all hyped up by Prior Design! The tuning company has enhanced the aerodynamics of the supercar with elements that produce a better air flow. A PD800GT front lip spoiler, front canards, front fender flares supply the extra stance that it never asked for. Besides, the vented hood makes it as aggressive as a hypercar. A rear diffuser, rear canards, together with the rear decklid spoiler, round up the fierce looks of the GT S launched in 2014. Black accents and gold detailing demonstrate the tuning company’s creative side. The radiator grill is finished in glossy black, with the AMG and the V8 biturbo badges covered in metallic gold. The exhaust pipes and the brake calipers match the logos. 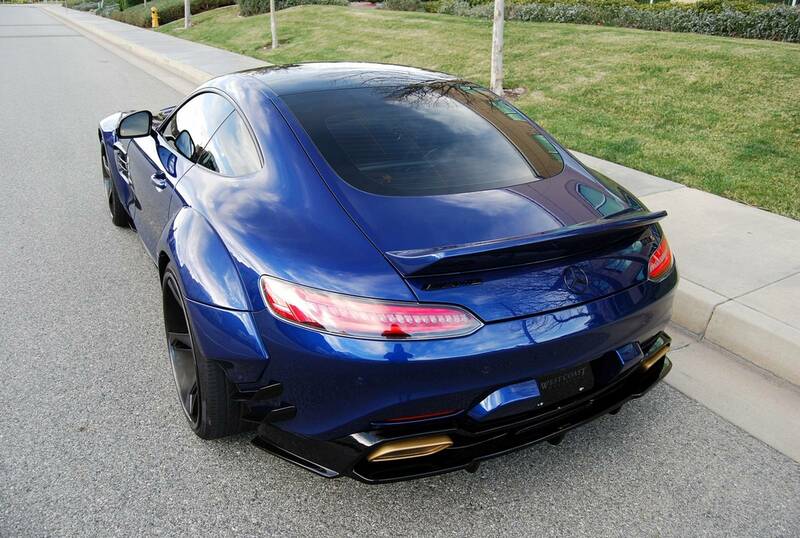 The blue brute runs on giant 21-inch Forgiato Copiato ECL wheels. The tuning company claims that its sprint from 0 to 100 km/h in 3.8 seconds stays the same even with those on! Prior Design left the engine intact, so the 4.0-liter V8 biturbo still develops 510 HP and 650 Nm of torque, with a top speed electronically limited to 310 km/h. Prior Design promises customers a custom-made interior upon request. How much money would you need to pay to get your GT S looking like it has just traveled to hell and back? 10 900 euros exactly! S Guard in Crocodile Leather: See You Later, Alligator!